MoMA describes its goal as being three-fold ~ increasing gallery space and allowing the Museum to exhibit significantly more of its diverse collection in deeper and more interdisciplinary ways; to provide visitors with a more welcoming and comfortable experience; and to better connect the Museum to the urban fabric of midtown Manhattan. The now completed east section enhances galleries and public spaces on three floors. It reconfigures 15,000 square feet to create two spacious galleries on the third floor that allows more flexibility for installing the collection and special exhibitions. 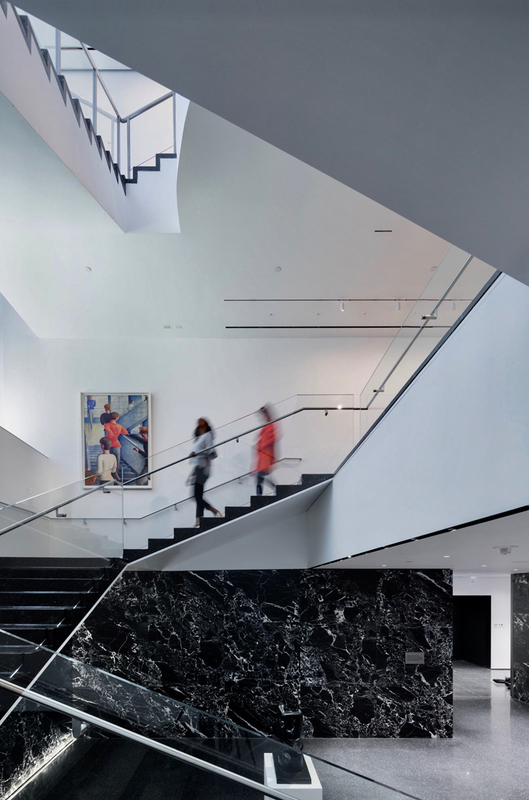 The extension of the historic Bauhaus staircase to the ground level restores and enhances access to the second-floor galleries., and an addition of a new first-floor lounge facing The Abby Aldrich Rockefeller Sculpture Garden. 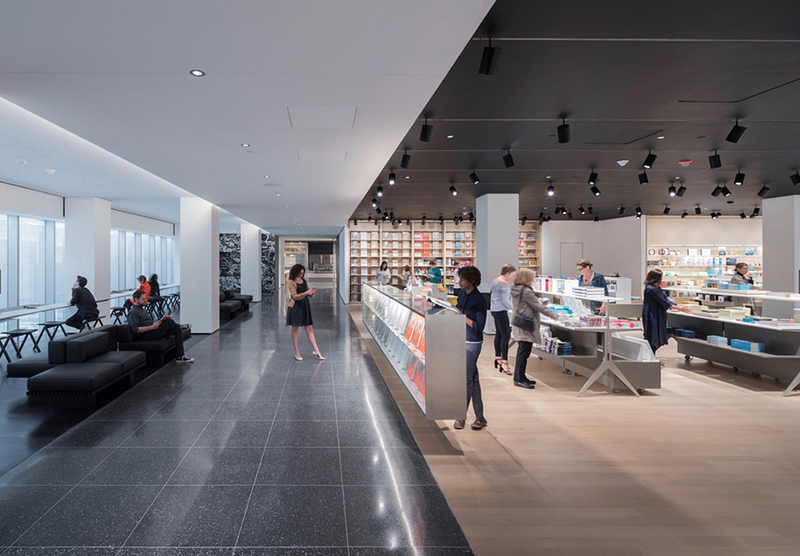 Improvements also include renovations of restrooms, an additional coat check at street level, and the renovation of Cafe 2 on the second floor, now adjacent to a new museum store and espresso bar overlooking the Sculpture Garden. 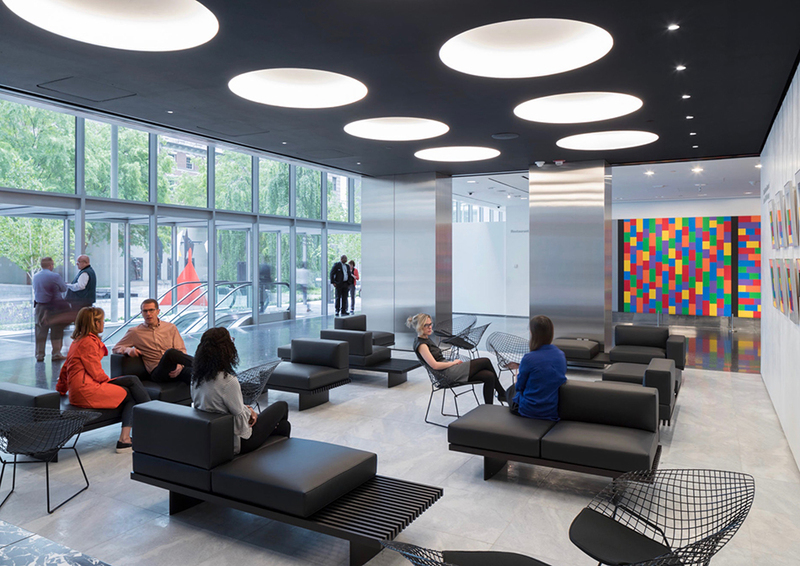 The overall expansion will yield a net increase in MoMA’s gallery space of one-third, to 175,000 square feet. The 30 percent increase in exhibition space includes a stack of vertically interlocking galleries of varying heights. The 40,000 square feet of gallery space being added in the western portion of the building will be devoted to realizing long-held aspirations of presenting significantly more of its collection. 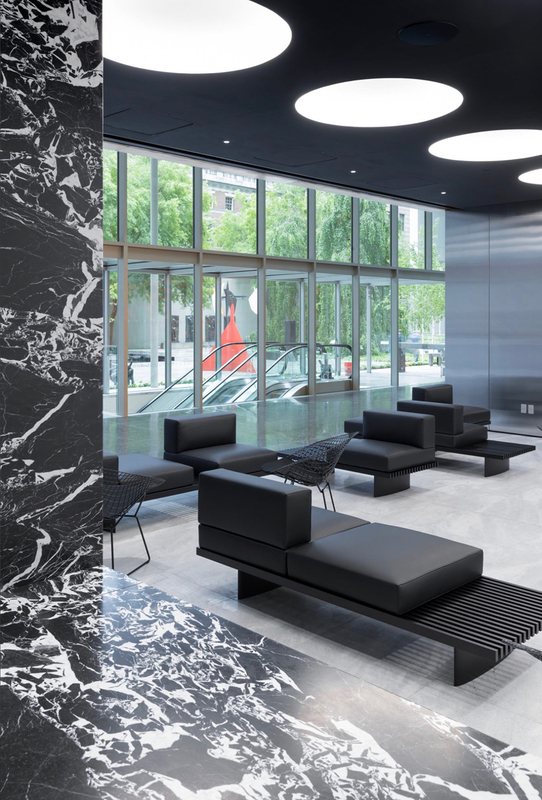 Throughout the construction process, MoMA has remained open. To complete the final stage, MoMA will close its doors from June 15 to October 21, 2019. 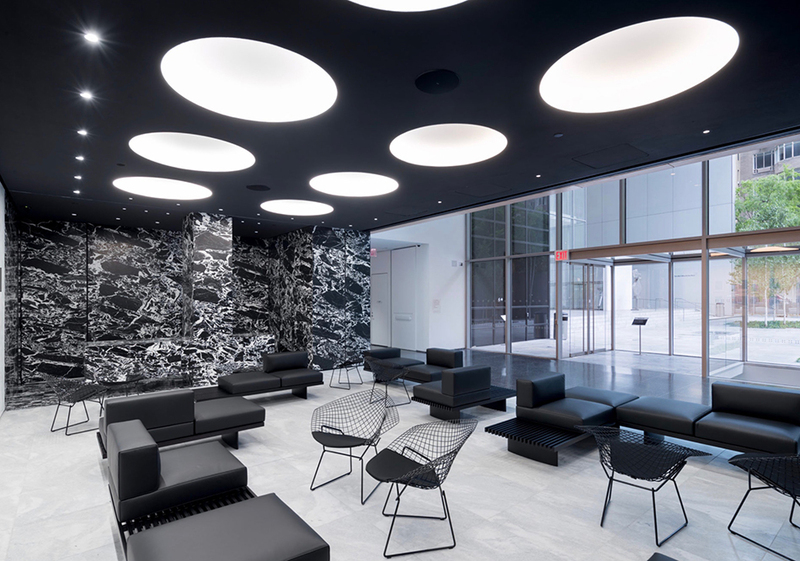 The Museum of Modern Art is located at 11 West 53rd Street, enter at 18 West 54th Street, NYC. Check out more from the architectural design by Diller Scofidio + Renfro ~ The Shed.